The US Mint issued American Dollar coins in 6 different denominations, including this 1 United States Presidential Dollar coin (Statue of Liberty). They are part of the American Dollar coins series. 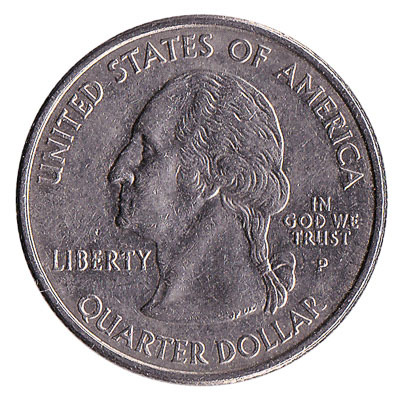 The US Mint started issuing these 1 American Dollar coins in 2007. They are currently still in circulation. 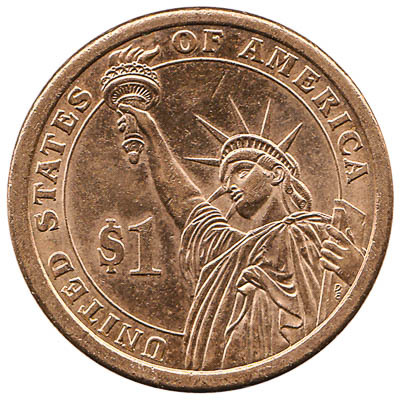 The Presidential $1 US dollar coin features the Statue of Liberty and a portrait of an American President. 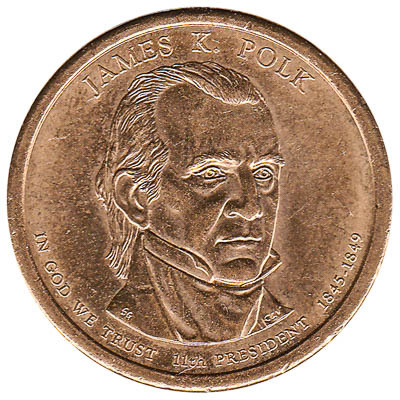 Intended to create renewed interest in dollar coins, the Presidential $1 coins are ideal for coin collectors and anyone who is interested in collecting coins of all the Presidents. The Presidential $1 Coin Act declares that no coins may be issued featuring a living president, or a presiden who died less than two years ago. Repeat these steps for any other notes and coins you want to exchange. Complete checkout and get paid within 5 days of receiving your currencies. To exchange your 1 United States Presidential Dollar coin (Statue of Liberty) for cash: add it to your wallet now!